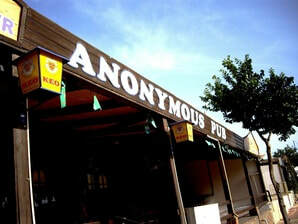 Anonymous Pub is a traditional style pub located at the lower end of the Ayia Napa strip (Ayias Mavris). 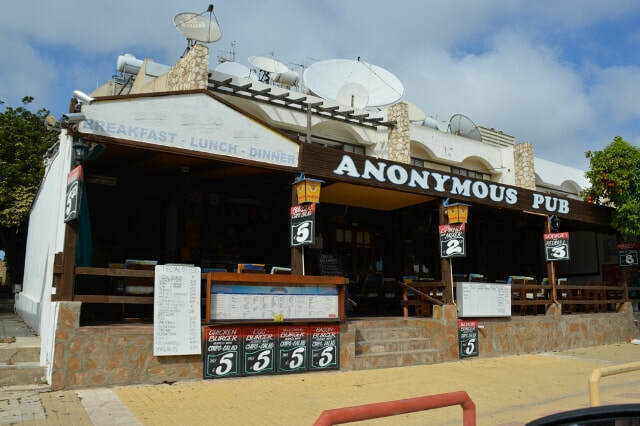 Open most of the year round, Anonymous serves breakfast, lunch and dinner as well as drinks and snacks through the day time and into the night. Anonymous also shows popular UK TV shows such as X-Factor and BGT as well as major sporting events. The closest hotels to Anonymous Pub are Nicks Apartments, Millies and Salmary Apartments. Other bars in the same area as Anonymous are Footloose bar, Taffys and Rat & Parrot.